It has started to feel a lot like spring lately here in Park City. 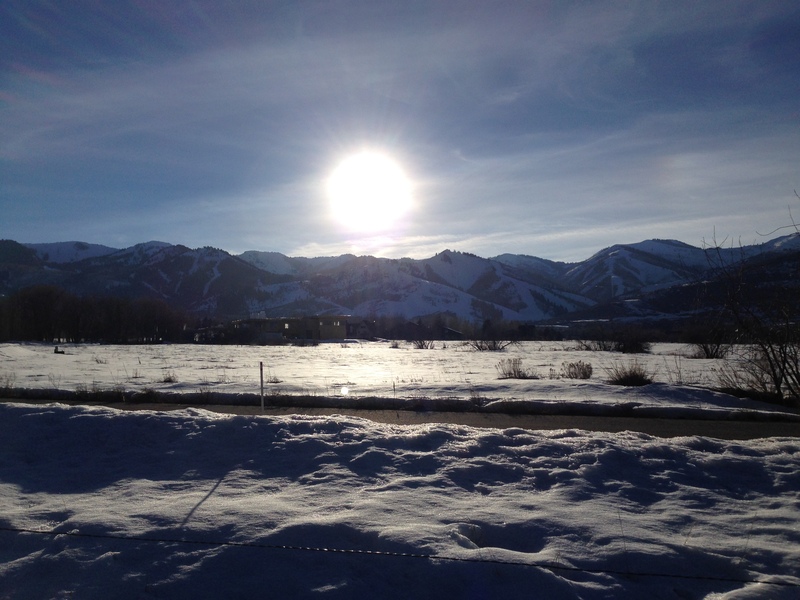 This weekend we had two gorgeous days of sunshine and warm weather, great for catching some rays and enjoying an apres drink after skiing… not so good for the snow! Practically all the snow around our house has melted and I’ve woken up the last few mornings to birds chirping outside my window and its only March 10th! 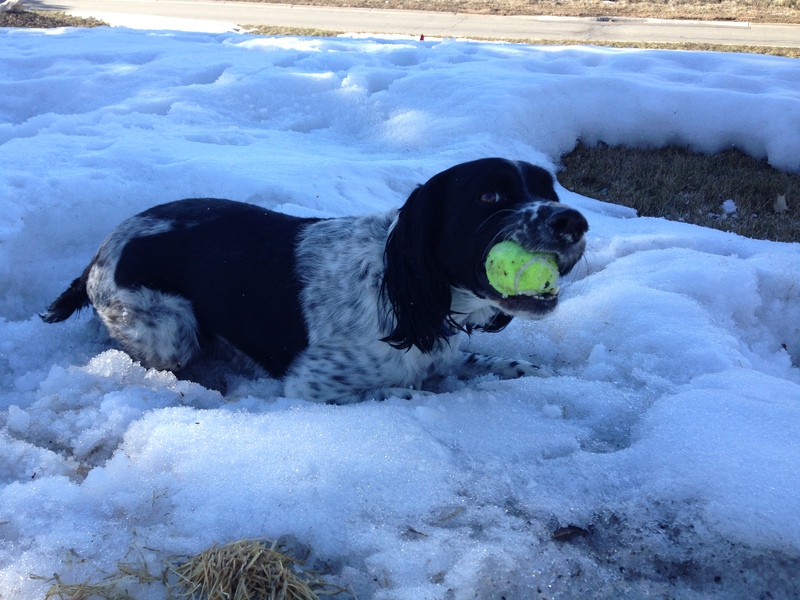 Here is Piper… laying on the only patch of snow left on our lawn! I did get some great skiing and hikes in this weekend. After being cooped up all winter, its nice to finally get out and enjoy the sunshine! And now that we’ve gained an extra hour of daylight at night I get to enjoy those late afternoon walks with the dog! Since I was feeling in the spring/summery mood this weekend I decided to whip up this delicious jalapeno, mango and avocado salsa! I would put this salsa on anything! Its great with chips, on tacos, chicken, fish… the options are endless and you’ll wish the bowl of this salsa was endless too because it is so good! This salsa goes perfectly on my fish tacos with chipotle cabbage slaw… but you’ll have to check back tomorrow, Taco Tuesday, for that recipe! 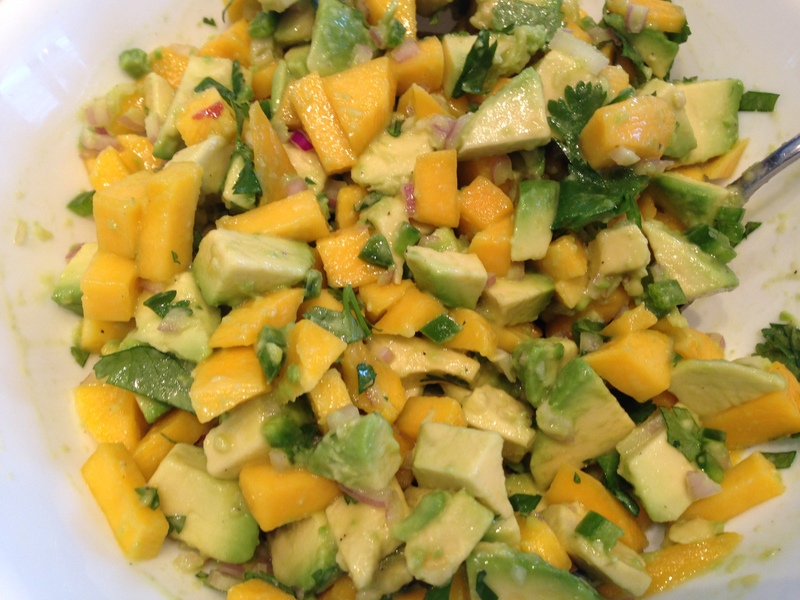 In a large bowl, mix together mango, avocado, jalapeno and shallots. Be careful not to over mix and smash the mango and avocado. In a smaller bowl, combine lime juice and olive oil. Drizzle over mango mixture. Sprinkle cilantro, salt and pepper over the top and toss to combine. Taste and adjust seasoning to your liking. Enjoy! This entry was posted in Appetizers, Recipes, Sides, Taco Tuesday and tagged avocado, Jalapeno, Mango avocado salsa, Mango Salsa, salsa, taco tuesday by skibootsinthekitchen. Bookmark the permalink.